When I first arrived at Dumbarton Rock, I never thought the dramatic geology I saw – the square-cut overhanging main faces, the giant beaked boulders, the moody facets of black and orange rock – were anything but solid and unchanging. I never thought there would be a character to the rock other than its intimidating immediacy and its industrial ‘clash and bang’ of sheer physicality and its contextual setting in the post-industrial decline of Dumbarton and the Vale of Leven. Maybe that’s what happens on all first visits to a climbing venue – a kind of heightened sense of the place’s physical presence – but if you spend years repeating visits to a place, it becomes a more temporal or invisible thing, in fact it almost vanishes before your eyes, first impressions rubbed out, to be replaced by folded-in memories of faced-down failures and subtle successes, and countless other small details. In fact failure and success become meaningless terms and there is just a space between these two almost irrelevant ideas, there is just a long memory of ‘being there’. Despite the apparent unchanging background of geology to us, the crag and boulders disappear over time and in their place I now have, after two decades visiting ‘Dumby’, a resonant space of movement, change, plasticity and memory. Dumbarton Rock has layers of history and generations of climbing to its name, it has what we would now confidently call a ‘sporting heritage’. Though these generations often overlap, there is often a sense of different camps, of ‘new-school’ versus ‘old-school’. So it goes with climbers. When I started climbing at Dumby in the 90s, I was aware of the legacy of the 80s generation of Cuthbertson, Latter, et al, but I was just vaguely aware of the 60s and the 70s generation, with occasional ‘remnant’ climber such as Tam McAuley turning up to scoff at my fancy new boots, but more often my shoddy technique on the treacherous basalt of Dumby. Frank Yeoman occasionally swung by and blithely repeated the highball circuit problems, while I was more wrapped up in the powerful ‘new’ problems and traverses being created by Andy Gallagher and Cameron Phair. It felt like there was a conceptual gap, but a thread of history between the generations nonetheless. My respect for previous generational visits only grows as my own sense of newness is gradually subsumed by levels of knowing, and perhaps the fossilisation that happens to all sporting endeavour. Climbing is a singular visitational activity locked into a philosophy of risk and release. We arrive, we climb, we tick the route, we move on, like a raiding party of colourful leisure-locusts. This can happen in swarms, to which anyone who has been to Fontainebleau at Easter can testify. Boulderers in the US invented the term ‘rampage’ to suggest a kind of mercenary raiding of something valuable and collectible, but also maybe disposable – a spoil of war, a dismissive trinket of vertical pleasure. But has climbing finally evolved a mature language and philosophy of meaning, or at least its own canon of sporting literature (like boxing or football has its classic works of journalism), despite this apparently disposable/replaceable attitude to its substrate, or its arena? The problem with developing a philosophy of climbing, a sense of place and even a 'sacred ground' attitude (a unique sense of ownership in landscape, ‘dwelling’ as Ingold might name it), is the fact that it is an invisible tourism of sorts: in Britain particularly the ethic of ‘leave no trace’ has been prevalent. The climber visits a swathe of vertical rock and can now leave practically no trace, utilising a running technology of temporary protection or ‘gear’ such as ‘friends’, ‘nuts’ and ‘sky hooks’, rather than an older technology of ‘in-situ gear’, such as ‘pegs’ and ‘tat’. Climbers come and go, they vanish, usually without trace, making their own archaeology largely an oral history. 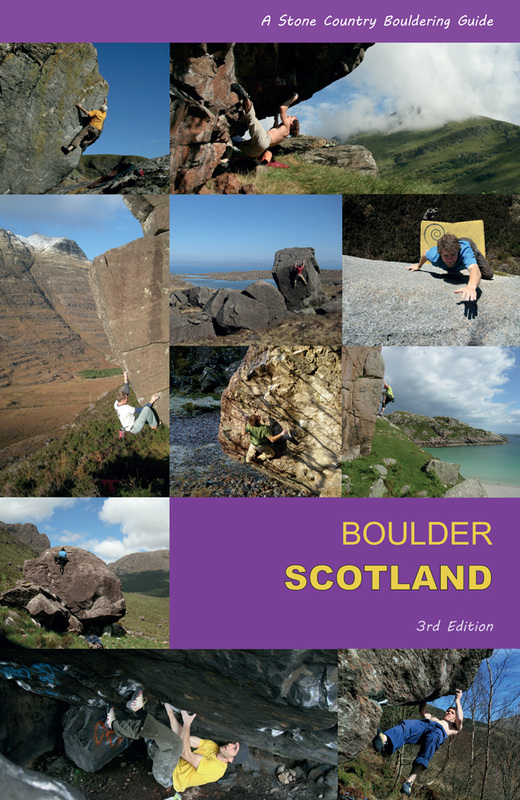 Sure, they can now leave a noisy colourful trail online via Facebook and Vimeo etc., as well as the traditional print media of magazines and guidebooks – perhaps that's our archaeology – but despite the digital/print trace, what remains of the climber at the crag or boulder? What have I left at Dumbarton to mark my heritage aside from so many hours staring blankly over the time-lapse tides of the River Leven? Is it possible to leave a coherent archaeology as you do it, as it is performed? Or is all this for future anthropologists of 21st century leisure – and is it really your duty as a climber to actually think about it, or just do it? We can of course ‘just do it’. This is the primal attitude of youth, the desire to better, the incentive to be unique, the performance towards the end of everything before (cue Hulk-pose and roar). The drive to perform, without necessarily understanding that history in terms of ‘dwelling’, is fine as it goes in our scale of numbers and their excession. Sport does this all the time, it’s the Olympics, it’s the 100m sprint, and youth understands this so well, it celebrates its current technology of power, its ‘body’ and the older generations accept it with grace, just as youth comes to accept it in time as they age, and its remains are ‘coached’, to another generation. This is all healthy and the natural rhythm of sport. We wouldn’t have it any other way. In the summer of 2104, an interdisciplinary archaeology project, with the acronym ACCORD (Archaeology Community Co-design and Co-production of Research Data), came visiting at Dumbarton Rock, curious at the recent drama of 'graffiti-gate', or basically the dilemma of climbers trying to determine if graffiti-artists were fellow 'rock-artists', or simple delinquents with nothing to add to the heritage at Dumby. It had created something of a minor stir in 2013 and the BBC even did a brief feature piece on radio and online. It was all a pickle of access issues, heritage bodies, community rights, and Health & Safety concerns, as well as the aesthetic argument over paint on rock. But what it did do was bring together concerned individuals who all valued 'The Rock' from differing perspectives. For climbers, we mostly wanted graffiti artists not to mess with the friction and aesthetic qualities of the rock, whilst Historic Scotland naturally wanted the rock to appear in its pristine state in a Commonwealth Games year. The community wanted to resurrect an old right-of-way path ('Washingstone Way') round the north of the castle mound. Some climbers suggested 'de-scheduling' the rock's north-west faces and boulders (classified as a protected or 'scheduled' monument) and allowing climbers to create their own 'climbing park', involving Dumbarton's community. There was a lot of positive talk and genuine community action. ACCORD saw this archaeology in action and stepped in with a project to scan the physical climbing arena with 3D imagery-techniques, thus archiving the physical sporting heritage and the older layers of community involvement at Dumbarton Rock (such as the carved graffiti and painted graffiti), deliberately recording outside its more static and traditional status as an ancient castle. 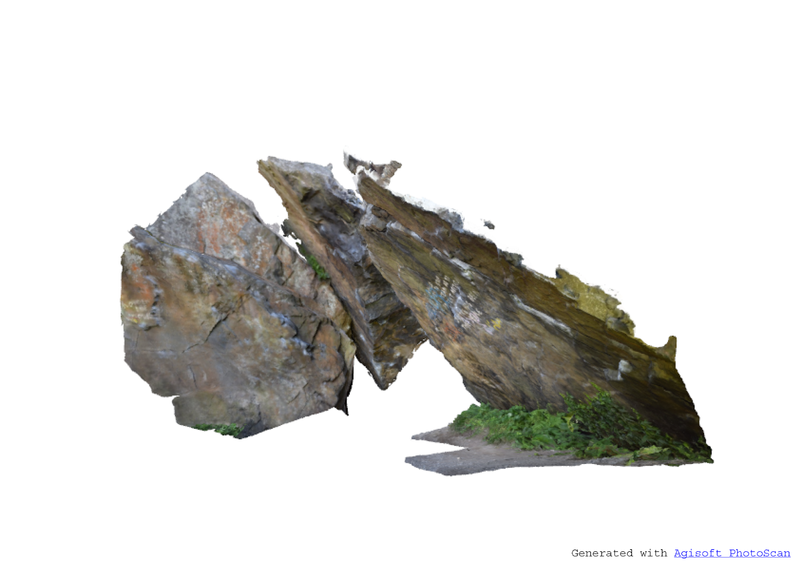 It was effectively trying to capture the living archaeology of Dumbarton Rock as it is experienced in the early 21st century – a 3D postcard if you like. To us as climbers beginning to fret about the invisibility of this heritage, and the threats against our activity (whether legal, developmental, or other), I felt a strong sense of 'Commons' ownership of this area, without wishing to fence it off to others in the slightest. I felt we had rights which needed expressed, even if the exercise of those rights happened mostly invisibly to the outside world, beyond its concern and frame of reference. As a small community, we valued the place as 'sacred', in the sense that we'd be distraught if it was quarried away, fenced off or somehow forbidden to us. Maybe this was an over-reaction, or paranoia, but it seemed more like an opportunity, provided by the kind people at ACCORD, to express our heritage and voice our natural delight at a place most people thought post-industrial, grotty, and no more than a brown-field curiosity. To us, these perspectives fell far short of our connected feelings for the place, the landscape, as regular climbers. So what is our archaeology as climbers, beyond the personal? Climbing has its own language, boundaries and ethics, these are all understood without the need for a rule book or dictionary. This is unusual, as most sports rely on a statute book or set of rules. Climbing does as well, but these rules are curated by a community of oral historians who hold the keys, the ‘beta’ and the ethics of an ascent. Any crime committed is apprehended through a well-developed communal conscience, though nowadays legitimised by video footage more often than not. We are a self-regulating lot, our own police, judge and jury. We do have official bodies such as the SMC and the BMC, but whilst they suggest ethical behaviour codes, these are created by climbers first and foremost and there is no equivalent of a Football Association with a rule book for outdoor climbing. Nor do they create the field for our play, this is given to us by nature, and we approach it with all the conscience we can muster to such a variable arena, so it does tend to fall outside the remit of 'regulated sport'. That is not to say climbers do not value their environment and their substrate. Far from it, they just don't want to regulate it unless entirely necessary. Over time, visiting a place regularly, purely for leisure reasons, like a round of golf, but in this case to climb on rocks, leads to profound and gradual changes in perception and perspective. I have to ask myself: what is it that vanishes and what takes over, what long silent process has carved out my perspective from the sheer physical geology of the place I first saw 20 years ago or more, sounding out of the Clyde like a large bass note? For me, it has been a growing sense of community, a place of belonging, almost of habitation, (with Commons rights only, no fences please!). Nature, place, history, environment, seem to have reasserted themselves over the personal interventions we perform such as climbing. It is a good and positive thing and leaves me with a sense that, if Dumbarton Rock's familiar double-humped profile suddenly vanished from the Clyde's shores, a deep and wounded hole would open in my heart. 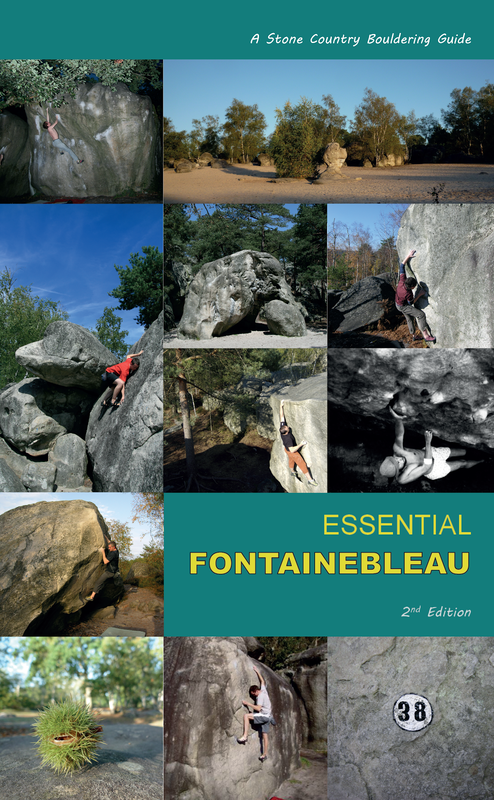 Essential Fontainebleau 2nd edition - OUT NOW!